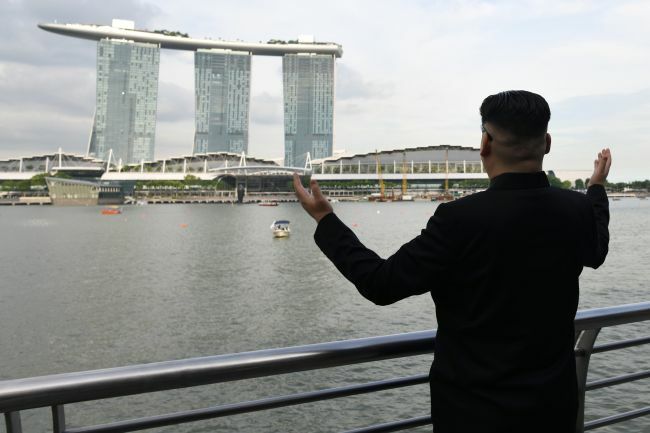 Who’s that checking out the sights of Singapore ahead of the possible North Korea-US summit in June? 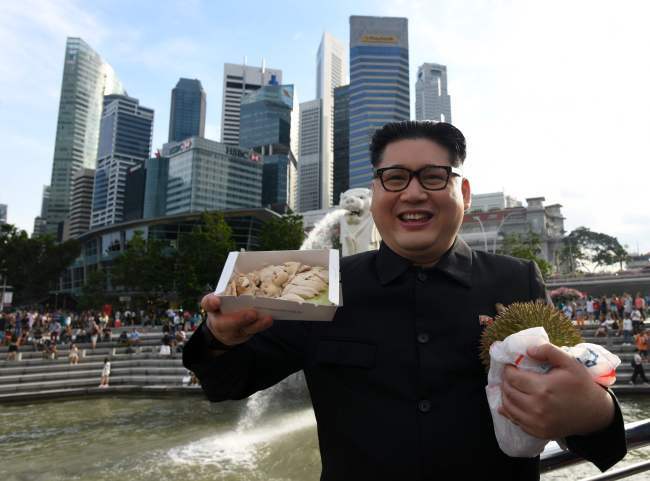 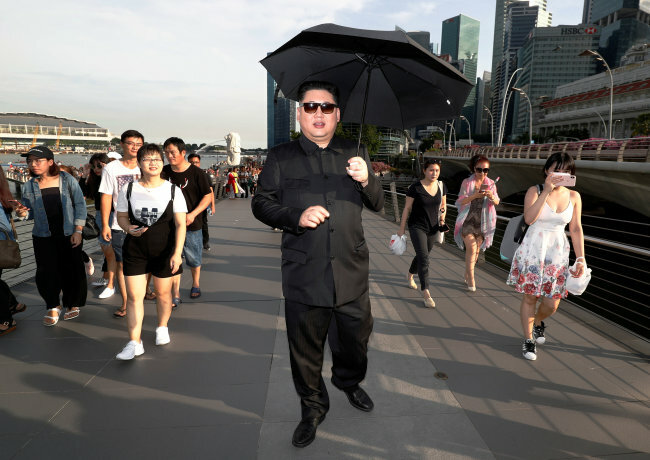 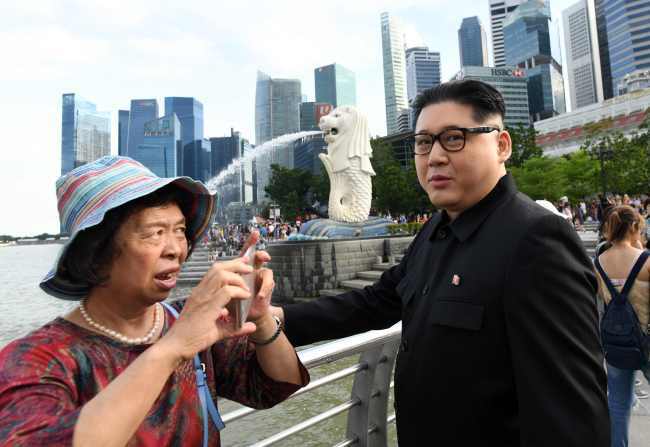 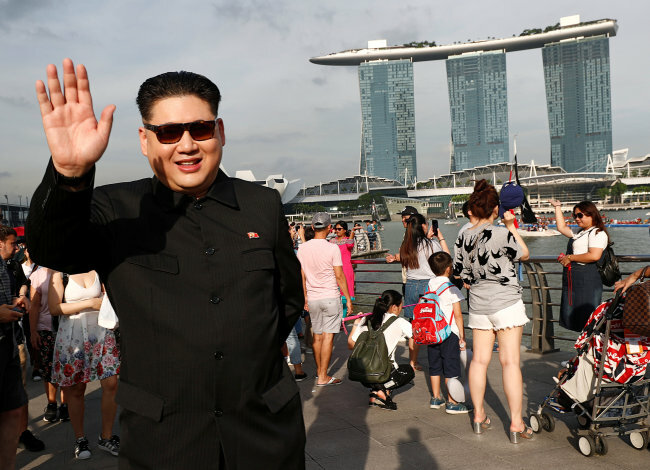 It’s not North Korean leader Kim Jong-un, but Australian-Chinese impersonator Howard X, who was up to his old tricks Sunday as he took a stroll down Jubilee Bridge in Singapore, overlooking the Marina Bay Sands Hotel and the landmark Merlion. 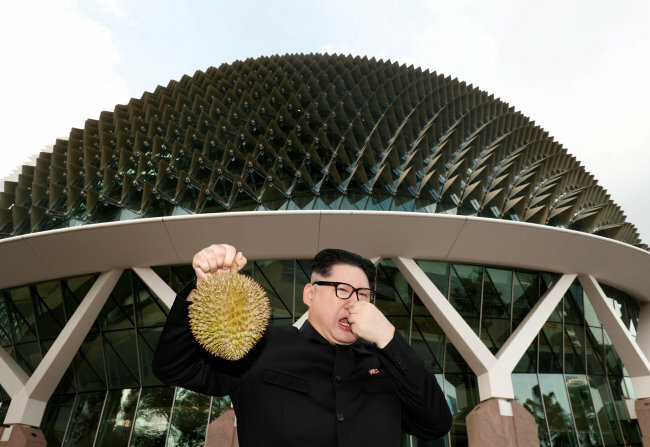 Howard has made other appearances at the 2018 PyeongChang Winter Olympic and Paralympic games, alongside his Donald Trump impersonator partner known as Dennis Alan. 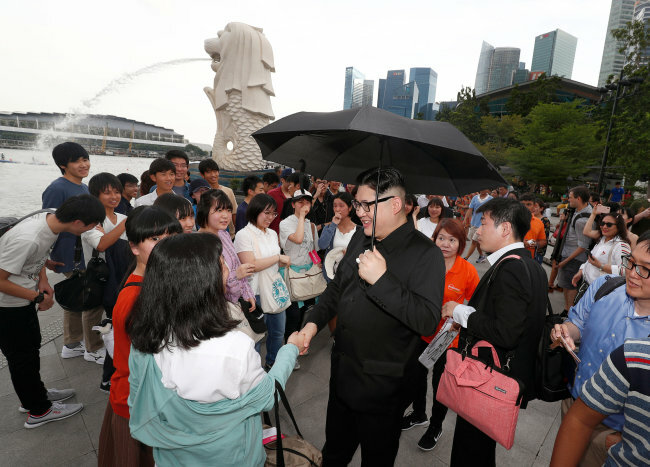 The pair had made headlines across amused media who eagerly caught them kissing for the cameras, and walking arm-in-arm in the streets of major metropolitan cities including Hong Kong (the hometown of Howard), Washington, DC, and Seoul. 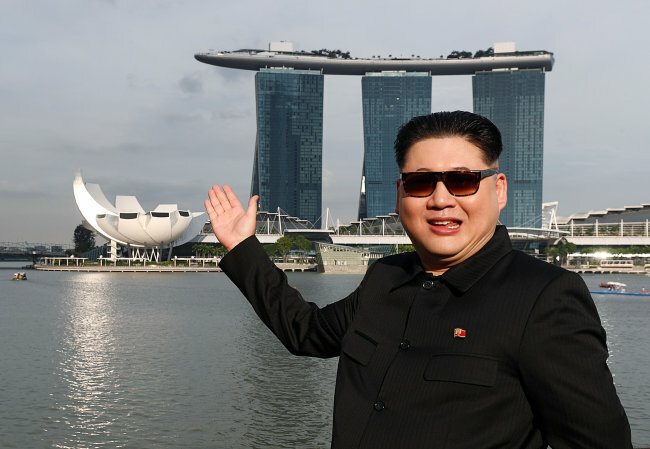 These two have claimed to the media that they are to be credited for laying the foundation for the high-profile summit between the US and North Korean leaders, currently pending in the air. 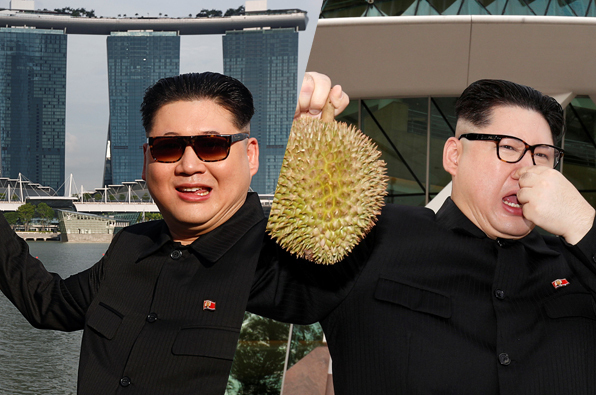 It’s debatable whether Howard was addressing the real US president or his partner Alan. 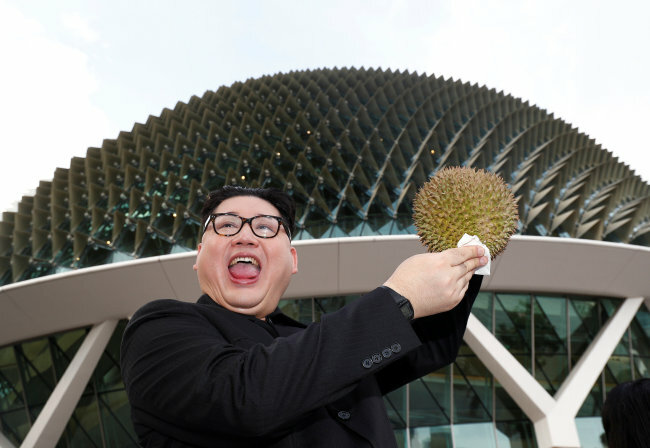 Howard posed sniffing and scowling at durian fruit and took selfies with passersby.